Record Company – PolyGram Inc. The ghost of Ian Curtis was still obviously on this metamorphosis of Joy Division-New Order. Namely in the vocals and in the dark ambience. 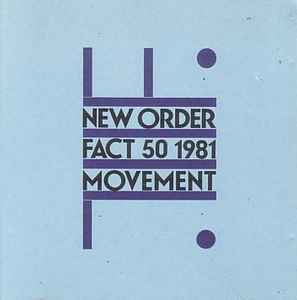 Definitely the bridge between eras, the bridge between genres and the bridges between dynasties - paving the solid way from Joy Division to the shaky uncertain ground of New Order. Denied the early singles of Ceremony and Procession, Movement still has a lot to offer and that culminates in the excellent Dreams Never End.